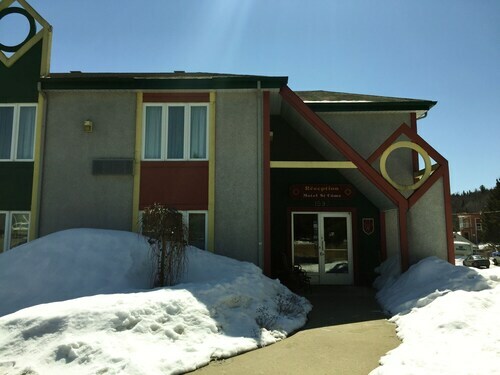 Nestled on the slopes, this ski-in/ski-out hotel in Saint Come is within 2 mi (3 km) of Val Saint-Come and Ouareau Forest Regional Park and close to winter sports such as cross-country skiing and skiing lessons. Super Glissades St-Jean-de-Matha and St-Jean-de-Martha Golf Club are also within 20 mi (32 km). 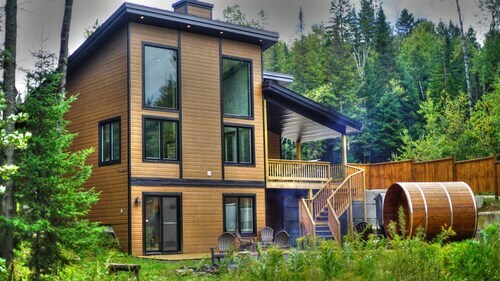 Situated in the mountains, this chalet is 1.1 mi (1.8 km) from Val Saint-Come and 11.8 mi (19 km) from Mont Tremblant National Park. Super Glissades St-Jean-de-Matha and Ouareau Forest Regional Park are also within 20 mi (32 km). 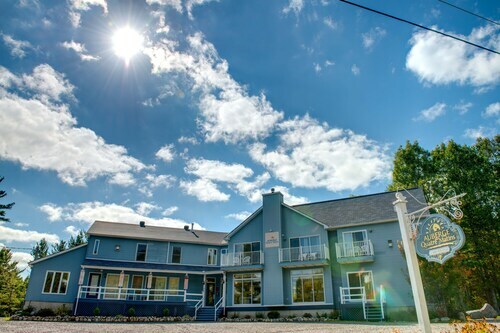 Situated in Saint Come, this motel is 5.5 mi (8.9 km) from Val Saint-Come and within 16 mi (25 km) of St-Jean-de-Martha Golf Club and Super Glissades St-Jean-de-Matha. Parc Regional des Chutes Monte-a-Peine-et-des-Dalles is 16.9 mi (27.2 km) away. 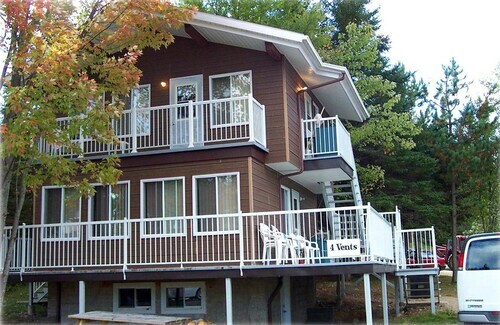 Situated in Saint Come, this chalet is 8.4 mi (13.6 km) from Val Saint-Come and within 20 mi (32 km) of Super Glissades St-Jean-de-Matha and Mont Tremblant National Park. Ouareau Forest Regional Park and St-Jean-de-Martha Golf Club are also within 20 mi (32 km). 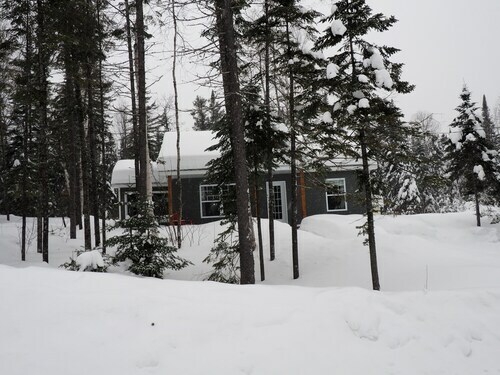 Situated in a rural location, this chalet is 0.7 mi (1.2 km) from Ouareau Forest Regional Park and within 12 mi (20 km) of St. Donat Ski Resort and Lac-des-Iles. St. Donat Golf Club and Mont Tremblant National Park are also within 12 mi (20 km). Situated in a rural location, this vacation home is 9.3 mi (14.9 km) from Parc Regional des Chutes Monte-a-Peine-et-des-Dalles and within 16 mi (25 km) of Club De Golf Rawdon and La Source Bains Nordiques. Super Glissades St-Jean-de-Matha and Val Saint-Come are also within 20 mi (32 km). 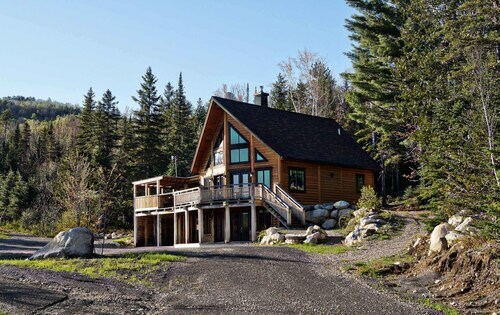 Situated in Notre-Dame-de-la-Merci, this chalet is 1.9 mi (3 km) from Ouareau Forest Regional Park and within 12 mi (20 km) of St. Donat Ski Resort and St. Donat Golf Club. Lac-des-Iles and Mont Tremblant National Park are also within 12 mi (20 km).